RIDGEFX is a nail surface enhancer and ridge filler that perfects the appearance of the natural nail. RIDGEFX Nail Surface Enhancer smooths out ridges and masks imperfections for a beautiful color application. See results instantly! Use RIDGEFX on natural nails that are prone to staining. 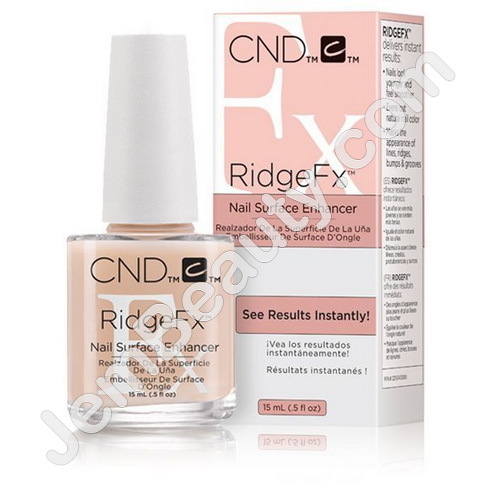 Use RIDGEFX with any traditional nail polish to smooth imperfections on the natural nail. For an enhanced natural look, apply one or two layers of RIDGEFX to clean, manicured nails and follow with your choice of CNDÂ® Top Coat.